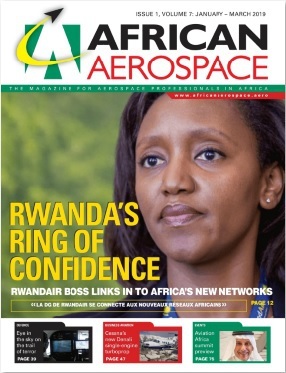 AFRICAN AEROSPACE is a quarterly magazine packed with news, features and editorials. Officially supported by AFRAA, AfBAA and CAASA, complimented by our AFRICAN AEROSPACE news website www.africanaerospace.aero which provides current news on a daily basis along with providing a weekly subscriber’s newsletter. This publication is ideal for Aerospace, Aviation, defence and security companies hoping to work in the African market and for organisations, suppliers and governments. For your FREE SUBSCRIPTION to AFRICAN AEROSPACE, simply click the “Subscribe now FREE” button at www.africanaerospace.aero. ARABIAN AEROSPACE is at the heart of the industry across the region. 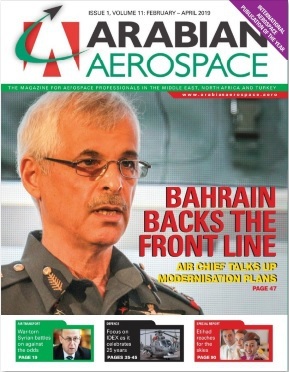 Now in its Ninth year, the magazine, voted 'Best International Publication of 2018' is officially supported by MEBAA and AACO – along with its daily news updates, weekly newsletter and show daily specials – has become a clear market leader for aerospace professionals operating in and with the Middle East. We continue to see the launch of new products to further enhance the information available with in-depth analysis of the region’s air forces; exclusive interviews with business leaders and a weekly video news service as part of our interactive offerings. For your FREE SUBSCRIPTION to ARABIAN AEROSPACE, simply click the “Subscribe now FREE” button at www.arabianaerospace.aero.